Thought only Hollywood celebrities know how to flaunt their grandeur vehicles in style? Well, even Bollywood A-listers are no less when it comes to maintain a high-profile lifestyle. This time Shah Rukh Khan, Bollywood’ s one of the most highest-paid actors, has spent an estimated £400,000 on his new extravagant vanity van. Created by DC Design, the exuberant vehicle is a sheer luxury on wheels, and surely the biggest and most expensivevanity van in Bollywood. The cutting-edge vehicle is integrated with futuristic equipment and opulent interiors including separate driver’s cabin, master bedroom, lounge section, fully-equipped restroom and integrated make-up room with four screens and recliner. Front section of the van can be extended hydraulically to extend lounge section, maximizing space for extra guests. Moreover, complete 4K home theater system along with high-end audio and video qualities is also present within the luxury van. That’s not all; the custom-made vehicle also flaunts LED lit glass floor, contoured wooden roof and four Gensets. To ensure uninterrupted power backup, number of high performance backup UPS systems are installed within the vanity. 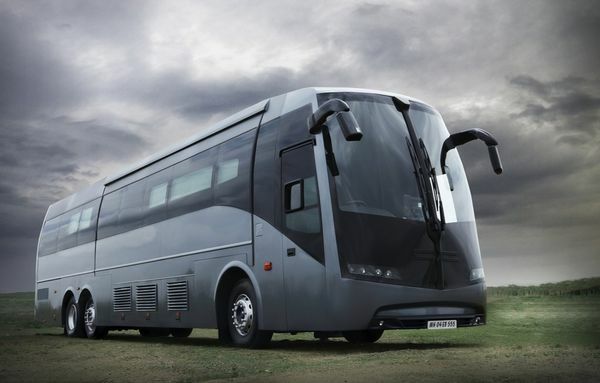 What else one could ask for in a fully-equipped, luxury bus? According to DilipChhabria, founder of DC Design, it took nearly 45-60 days to complete this entire customized vehicle. However, the end result is totally worth the effort of designers as well as the hefty price tag for which it has been purchased by the Indian actor. With the purchase of this expensive futuristic vanity van, SRK has shown the world why he is popularly called the ‘King Khan’ in Bollywood.